Broadstreet's Trailside offers 1, 2, and 3 bedroom pet friendly apartments in the new community of Skyview Ranch in northeast Calgary. This modern apartment community sits in a picturesque neighbourhood surrounded by mountain views and scenic parks. It is less than 15 minutes away from premier shopping and dining at the Country Hills Town Centre, as well as the Calgary International Airport. Living at this location makes accessing the city simple, with downtown just 20 minutes away and user-friendly transit services at your doorstep. Inside your spacious, open-concept apartment, you'll feel at home with in-suite laundry and large walk-in closets. You can also experience peace of mind with flexible rental agreements and exclusive perks like covered parking. This brand new community blends beautiful contemporary apartment-style homes, convenience, and a family-friendly feel. It is tucked away in a tranquil neighbourhood, while still close to the best amenities Calgary has to offer. 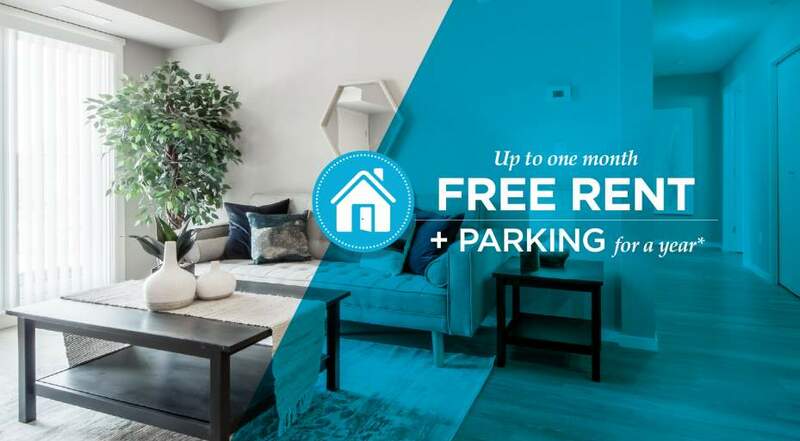 *On a fixed term lease, free rent promo applies on move-ins between April 1, 2019 and May 31, 2019. Free parking applies on move-ins by June 1, 2019.